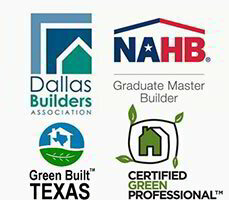 Alford Homes is a custom homebuilder located in Dallas, Tx. Greg Alford and his team of expert craftsmen build luxury homes is some of the finest neighborhoods and locations including - Dallas, University Park, Highland Park, Preston Hollow, Plano, Gunter and Fairview. The address for Alford Homes' corporate office is 17480 Dallas Parkway, Suite 217, Dallas, Texas 75287. The phone number for Alford Homes is 972.429.1074. If you would like to email Alford Homes or have any questions, please feel free to use the contact form above to reach the custom home builder. Use the map above to get directions to the Alford Homes office or to one of the new available homes that's for sale.